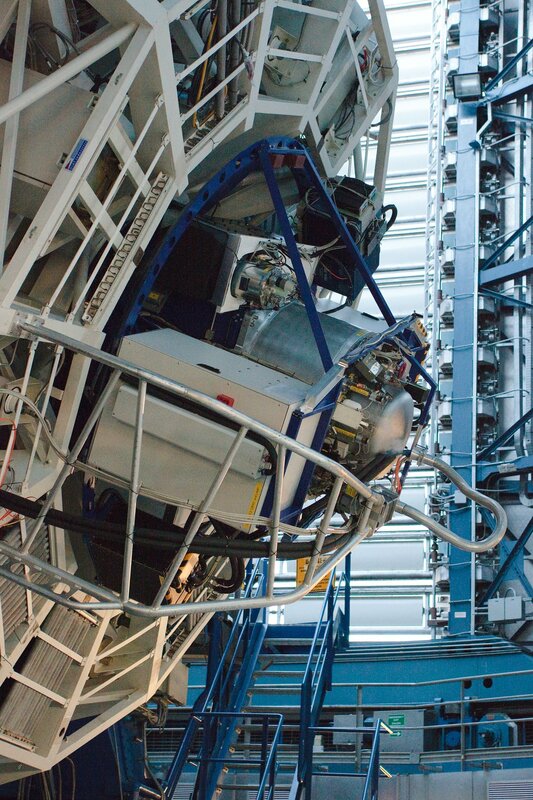 XSHOOTER is a single-target multi-wavelength (300-2500 nm) medium resolution (R=2000-18000) Echelle spectrograph mounted at the VLT-UT Cassegrain focus. It consists of three spectroscopic arms, each with optimized optics, dispersive elements, and detectors. In addition, there is a fourth arm (the Acquisition and Guiding camera) can be used for a light imaging mode. These pages contain information about XSHOOTER Quality Control, pipeline processing, and data flow operations. This section of the Data Processing and Quality Control web pages covers the XSHOOTER data. Find the XSHOOTER section here. All calibration data from XSHOOTER pass Quality Control Garching. Use the XSHOOTER archive web page to browse and download XSHOOTER raw data. XSHOOTER Paranal web pages" | User Manual | Pipeline Manual including the Data reduction cookbook.